©2012 41" x 48" I always think of lush old southern gardens when I hear the word "honeysuckle." Fortunately, the growing zone is not restricted to the south. When I sit on my back porch, I’m treated to the sweet scent of honeysuckle that climbs over my neighbor's backyard fence. 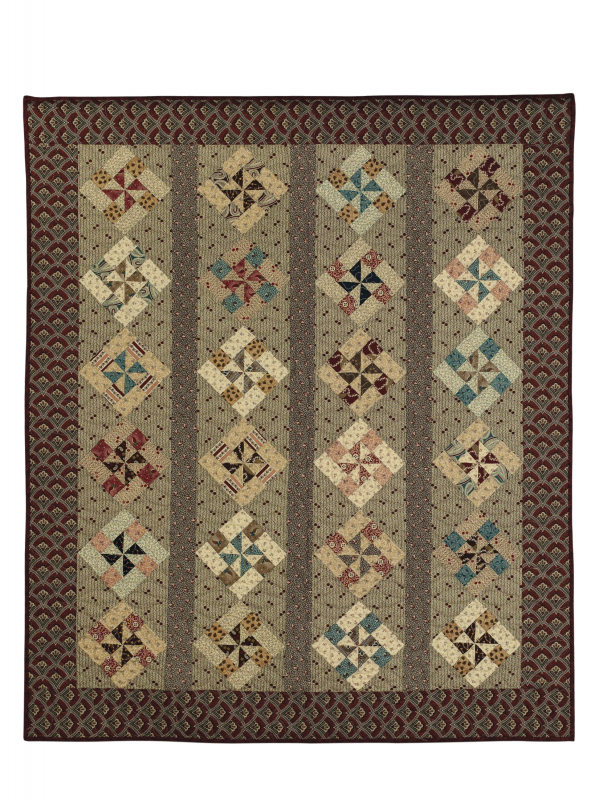 The colors of the delicate flowers on the twisted vines growing over the grey wooden boards inspired the name of this strippie quilt made from all of the fabrics in Judie Rothermel's Civil War Journals line for Marcus Fabrics. The 4-inch blocks are very easy to piece.